Hey guys, Ive got an issue using a playstation 2 controller with dolphin and was hoping someone could help. 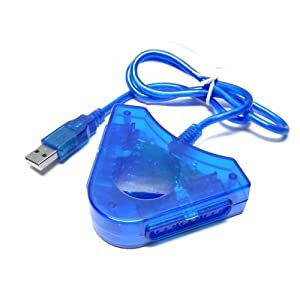 Im using one of these http://ecx.images-amazon.com/images/I/41TvQz2J2GL._SL500_AA300_.jpg to connect a ps2 controller to my macbook pro. I've used ps3 controllers and they work fine. what happens when i try to configure this though, is that I click on a button in wiimote config, it awaits my input, I press a button on the controller and it registers it as 'button 1' or whatever - so it gets something from my controller. But then when i press that button again to test it, the indicators in the config window dont flash red, and in game, it doesn't 'hear' my input at all. it only 'hears' my controller what im setting it up, and never again after that. Ive also tried using joystick mapper, and I can assign my ps2 buttons to keyboard buttons, but dolphin wont accept them, presumably because its still listening to the ps2 controller and not just the keyboard.